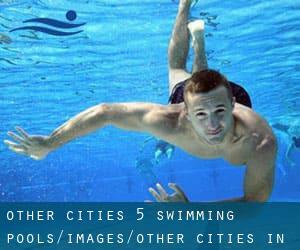 The most effective Other cities in Brandenburg Swimming Pools (Brandenburg) are situated mainly in huge cities, but it's also very easy to find public pools in rural locations. Not all countries are the same, and swimming rules and regulations are changing from one country towards the other. So, if this really is your first time looking for Other cities in Brandenburg Swimming Pools (Brandenburg), be sure to contact the premises just before you drop by. Traveling to Other cities in Brandenburg? This is the perfect spot on the internet to find locations to swim in Other cities in Brandenburg. Every day you are not swimming you're losing precious time in improving your skills to be a better swimmer! No far more excuses! Find your nearest Other cities in Brandenburg Swimming Pool and tell us how it went. Thanks to some new pools submitted by swimmers like you, Swimia.com is increasing in the day-to-day number of stored pools. Please do not hesitate to contact us in the event you acquire any Other cities in Brandenburg Swimming Pool with inaccurate or incomplete information and facts. We probably do not know all the Swimming Pools in Other cities in Brandenburg. Are you missing any? Contact us!. Are you a regular swimmer? Have you ever practiced Aquagym in Other cities in Brandenburg? Let us know!. Enjoy the best indoor pools in Other cities in Brandenburg and don't worry about the weather. These facilities are open all seasons and you can enjoy a swim at the same temperature every day of the year. If you're tired of getting eyes and irritated skin, finding a saltwater pool in Other cities in Brandenburg may be the answer. You might want to understand that the level of salt from these pools is well below the level of salt from sea water, particularly they are talking about a tenth or less. There are a number of alternative remedies to chlorination, with amazing advantages that ensure much better water quality within the pool. One possibility is the mineralizer, which purifies water naturally and significantly decreases the chemicals made use of and maintenance time. Try Chlorine Totally free pools in Other cities in Brandenburg. One of the benefits of outdoor swimming in Other cities in Brandenburg will be the possibility to sunbathe in the course of the summer season. Taking it with extra care, sunbathing is wholesome since introduces Vitamin D into the body, so the most beneficial selection seems to be switching between indoor and outdoor pools depending on the season. There are several reasons why you need to choose a heated swimming pool in Other cities in Brandenburg. The most important 1 relies on the significance of keeping the body temperature stable. If the water is too cold, your body will try to warm it up and you will lose strength to swim effectively. Updated on 2019 Max-Planck-Straße 1 , Potsdam , GERMANY (Postal Code: 14473). Swimmers like you reported Olympic size, 8 lanes, Indoors. Unfortunately we do not have the email address of this Pool, but we can provide you with the phone number. Updated on 2019 Wriezener Strasse 31 , Strausberg , GERMANY (Postal Code: 15344). Swimmers like you reported 25 meters, Indoors. Unfortunately we do not have the email address of this Pool, but we can give you the phone number. Updated on 2019 Puschkinstraße 2 , Gruenheide , GERMANY (Postal Code: 15537). Among all the activities supplied by the center, if you are interested in swimming you'll appreciate 25 meters x 12.5 meters, 5 lanes, 1.8 meters depth, 1.8 meters depth, Indoors. If you might want to contact this Swimming Pool, email address and phone number are both number. Updated on 2019 Newtonstraße 11 , Potsdam , GERMANY (Postal Code: 14480). Among all the activities provided by the center, for anyone who is considering swimming you will enjoy 25 meters, 5 lanes, Indoors. Just in case you would like to get in touch with this Swimming Pool before dropping by, we only know the phone number. Updated on 2019 André-Pican-Straße 42 , Oranienburg , GERMANY (Postal Code: 16515). This sports center gives 25 meters 12.5 meters, 4 lanes, Indoors. Contact knowledge for this Pool similar to phone number and email address are number. Updated on 2019 Jahnstraße 1a , Forst , GERMANY (Postal Code: 3149). Among all of the activities offered by the center, when you are enthusiastic about swimming you will enjoy 25 meters, 5 lanes, Indoors. If you need to get in touch with this Swimming Pool, e-mail address and phone number are both number. Updated on 2019 An der Schwimmhalle 5b , Wittenberge , GERMANY (Postal Code: 19322). Among all the activities offered by the center, for anybody who is thinking about swimming you will appreciate 25 meters, 4 lanes, Indoors. Just in case you want to get in touch with this Pool just before dropping by, we only know the phone number. Updated on 2019 Bruno-Baum-Ring 106 , Rathenow , GERMANY (Postal Code: 14712). This sports center gives 25 meters, Indoors. Contact information and facts for this Swimming Pool such as phone number and email address are number. Updated on 2019 Weinbergstraße 55 , Lauchhammer , GERMANY (Postal Code: 01979). This sports center provides 25 meters, 4 lanes, 1.4 meters - 1.8 meters depth, 1.4 meters - 1.8 meters depth, Indoors. Contact information and facts for this Pool including phone number and e-mail address are number. Updated on 2019 Am Lübbesee 1 , Templin , GERMANY (Postal Code: 17268). Swimmers like you reported 25 meters x 12.5 meters, 2 meters depth, 2 meters depth, Indoors. Unfortunately we do not have the e-mail address of this Swimming Pool, but we can provide you with the phone number. Updated on 2019 Kaltenborner Straße , Guben , GERMANY (Postal Code: 03172). Swimmers like you reported 25 meters, 5 lanes, Indoors. Phone number and email address are number for this Swimming Pool. It's difficult to visit Other cities in Brandenburg without dropping by Strausberg (with 26.649 residents). Presently Swimia is showing you all of the Pool in Strausberg as well as the closest pools located in its vicinity. Let us tell you a secret to switch off though you will be in Fürstenwalde: just pick a Swimming Pool in Fürstenwalde and plunge into the water! There's no alot more effective technique. Without a shadow of a doubt, swimming in Falkensee will be the best method to unwind following function. Take a couple of minutes to browse Swimia's catalog to find a Swimming Pool in Falkensee. Swimming is a fantastic idea to keep your body active throughout your visit to Hennigsdorf (Other cities in Brandenburg), or perhaps if you are a local. Swimia assists you to find your closest Swimming Pool in Hennigsdorf. Whereas Bernau bei Berlin is one of the six most populous cities in Other cities in Brandenburg with almost 34.866 residents, you shouldn't miss that one if you're going to Other cities in Brandenburg. Holding an estimated population of 51.691, Frankfurt (Oder) is one of the most important cities in Other cities in Brandenburg. Check all the Swimming Pool in Frankfurt (Oder) and its surrounding area. It's difficult to visit Other cities in Brandenburg without dropping by Cottbus (with 84.754 residents). Presently Swimia is showing you all the Swimming Pool in Cottbus along with the closest pools located in its vicinity. Swimming is a superb idea to keep your body active throughout your visit to Brandenburg (Other cities in Brandenburg), or even if you are a local. Swimia assists you to locate your closest Pool in Brandenburg.